Energy efficiency. When you install replacement windows in your home that also reduce your home’s energy bills, you have a win-win situation. Low maintenance. No one wants to put a lot of effort into maintaining their replacement windows, which is why this factor is so important. You want to choose windows that enhance your home’s appearance while requiring as little upkeep as possible. High-quality materials. Making sure you choose replacement windows that are made of high-quality materials and that can stand the test of time should be an important factor in your decision. When you are looking for replacement windows that are energy-efficient, require little maintenance and will last for years to come, turn to Gerald Jones Company. 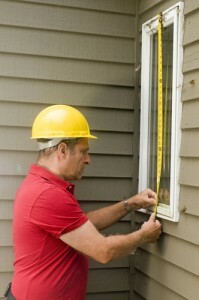 Since 1955, we have been installing replacement windows in homes across the Triangle area. Interested in scheduling a consultation with our Raleigh-Durham replacement window experts? Have specific questions that you need answered? Please don’t hesitate to contact Gerald Jones Company today at (919) 286-1700. This entry was written by geraldjones, posted on September 30, 2014 at 9:30 am, filed under Uncategorized. Bookmark the permalink. Follow any comments here with the RSS feed for this post. Both comments and trackbacks are currently closed.